So let’s say you want to invest in property but you don’t have the minimum 20% deposit required. Well, you’re likely going to have to pay what’s called Lender’s Mortgage Insurance. But what exactly is Lender’s Mortgage Insurance and is it worth the cost? In this episode, I’m going explain Lender’s Mortgage Insurance. What exactly it covers and why you would want to get it. 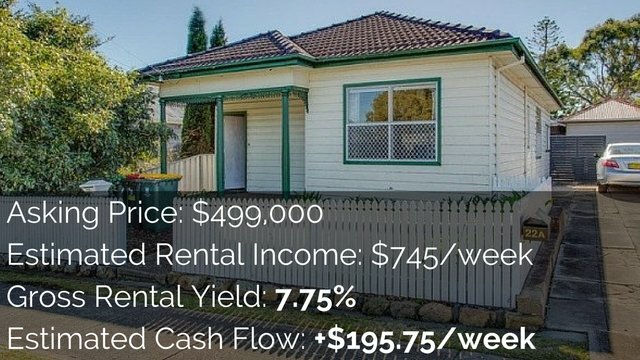 Hey, I’m Ryan from onproperty.com.au, helping you find positive cash flow property and I’ve just moved house. If you’re watching the video, you can see a bunch of boxes in the background behind me so I apologize that I don’t have the best setup today, but I did want to create some good content for you. And this is a question that a lot of people ask. A lot of people want to see lender’s mortgage insurance explained. And I do feel like often times, banks and lenders and sometimes mortgage brokers don’t really explain exactly what lender’s mortgage insurance is or they don’t take enough time explaining it so you actually understand it. So we’re going to get down to it, try and understand exactly what it is and why it could benefit us and whether or not it’s worth paying for. Lender’s mortgage insurance is an insurance fee that helps to cover the lender when they’re taking an increased risk on a loan. So, lender’s mortgage insurance, some people believe that it’s actually to cover you personally as the borrower of the loan, but it’s not. It’s for the lender to protect them if they’re taking an increased risk on a loan. What exactly is an increased risk? Well, for most properties – most residential properties – banks want to see at least a 20% deposit in which case they won’t charge you lender’s mortgage insurance. They like to see a 20% deposit because if you, for some reason, default on your loan and they need to sell their property, they’re quite confident that they’re going to get at least 80% of the value that you paid for the property back when they sell the property and this will cover their loan. However, if you’re only borrowing 5% of the property’s value, then they’re a lot less confident that if you default on the loan they’re going to get 95% of the value of the property back. So it’s a higher risk loan for them. And so, in order to cover this higher risk, they charge an insurance fee to cover that extra risk. Obviously, a lot of people will take out this insurance, not everyone will need it. That’s the way that insurance works. So the banks will charge you a one-time fee and everyone else a one-time fee and I guess this insurance covers them against those few circumstances where people do default on a loan and they have more trouble selling the property and getting enough value back. So lender’s mortgage insurance, it’s a one-time fee that you pay and it goes to protect the lender because they’re taking an increased risk on you to get the loan. This sounds like it’s not very beneficial to you, right? It’s a fee that you have to pay, generally, it’s added on to the loan so your loan gets bigger, but you’ve got to pay it and it protects them as the banks. Well, what’s the benefit to you as a borrower? Well, the benefits aren’t obvious, but they are there. The benefit of lender’s mortgage insurance is that if you don’t have the full deposit, then you can still get money from the bank. If lender’s mortgage insurance didn’t exist, then if you didn’t have a 20% deposit, you might not be able to get a loan at all. So, those of you who are going out and wanting to invest with a 5%, 10%, 15% deposit, you would need to keep saving. Or, the flip side of that is if they would still lend out the money, they would need to hike up their interest rates an give you much larger interest rates, so you wouldn’t have a great interest rate on your property. You’d be paying a certain amount of points above the standard interest rate because they’re taking increased on that. So, even though lender’s mortgage insurance is a fee that you need to pay, at least, you can still get a loan and you can still get a loan at a good interest rate. If lender’s mortgage insurance didn’t exist, then you probably couldn’t do that. So, lender’s mortgage insurance does have value to borrowers. However, it’s just a bit less apparent than the value that it is for the lenders. So how much does lender’s mortgage insurance cost? This is an impossible question to answer because there’s so many different varying factors. For example, the value of the loan is a varying factor. The percentage of deposit – whether you’ve got 5%, 6%, 10%, 15%. That’s all going to affect the value of the lender’s mortgage insurance that you have to pay. Basically, the larger the risk the bank feels that they’re taking, the larger your lender’s mortgage insurance is going to be. They may take into account whether you’ve got proven savings or not. And if you don’t have proven savings, your lender’s mortgage insurance might be higher. They might also look into your credit history and things like that, but I’m not really sure if that affects lender’s mortgage insurance. But another factor is that lender’s mortgage insurance varies from lender to lender. So you may go to one lender with the same loan value, the same percentage of deposit and you may have a slightly different figure than if you go to another lender. So if you want to find out how much lender’s mortgage insurance is going to cost for your specific situation, then just go to Google, type in “lender’s mortgage insurance calculator”. You should get a few of those come up and you can punch in your figures and it’ll give you a pretty close estimate to how much you’re going to pay. 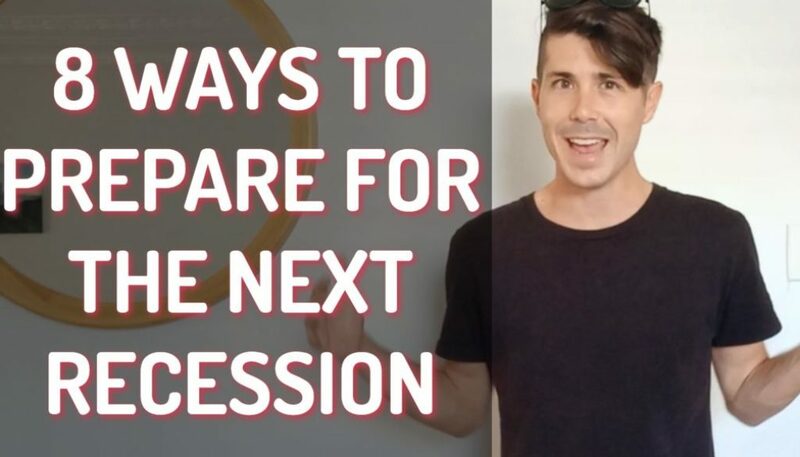 But, obviously, you’re going to need to speak to your lender or speak to your mortgage broker to get a more accurate estimate of how much lender’s mortgage insurance is going to cost. If you want to avoid paying lender’s mortgage insurance, the only ways I know how to do this is to save a larger deposit. So that might mean 20% for residential property, it might mean 30% for commercial property. But make sure you speak to lenders to find out how much you’ll need to save. So you can save a larger deposit. You could buy cheaper properties so your deposit is now worth more as a percentage of the property. So if you get that percentage over 20% for residential, then you may be able to avoid lender’s mortgage insurance. Or, you can get a family guarantor on your loan. so if you’ve got parents or you’ve got immediate family who are willing to put up their property as security for your loan, then the banks can take some security for them. It then becomes a less risky deal for the banks. And, therefore, you don’t have to pay a lender’s mortgage insurance. So, having a family member go guarantor on your loan is a way to reduce or remove lender’s mortgage insurance. So, that’s how you can avoid it. Save more, buy a cheaper property so you’re deposit’s worth more as a percentage of your property or get a family to guarantor your loan. The last question and thing that I want to cover is: Is it actually better to pay lender’s mortgage insurance or is it better to wait until you have a large deposit? I’ve seen people talk on both sides of the scale and to say you should absolutely never pay lender’s mortgage insurance. 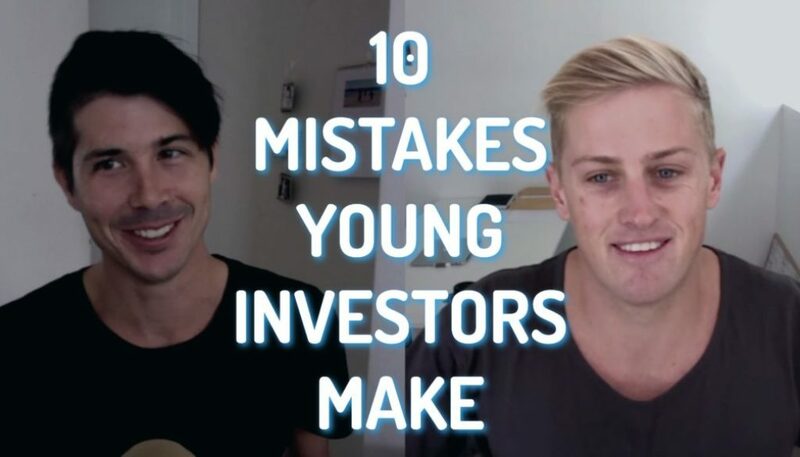 You should always save a 20% deposit when you invest. Lender’s mortgage insurance, absolutely wasted money because it’s a fee that goes to the bank and you’ve got nothing to show for it. And then, the other side of the pendulum are people saying that you should always pay lender’s mortgage insurance and always invest with the smallest deposit possible so you’ve got the least cash in the deal so that you can take the cash you do have and invest in more properties and grow your portfolio faster. So, some people say never pay it, always save at least 20%. Some people say always pay it, put as little cash into each deal as possible, which means you’re going to pay basically the maximum lender’s mortgage insurance for your situation. So there’s people on both sides of the table. I think a better approach to it is to actually look at your own situation and assess whether it’s worth it for you. Lender’s mortgage insurance cost thousands of dollars. So you need to weigh up: is it worth investing in this property now with the smaller deposit and paying thousands of dollars versus actually saving more to get a deposit? Someone who only has a 5% deposit, they have a lot of trouble saving, but they could get into the market now. Maybe they’re great at renovation so they can build equity and value in their property, it might be worth investing for them and paying the lender’s mortgage insurance because they can into the market faster, they can build equity and they’re going to make more than the lender’s mortgage insurance cost them. Or they might be someone who’s more risk-adverse. They want a larger deposit or maybe they’ve got 15% and they’re great saver so it’s only going to be a couple of months until they’re at 20%, well then, it might not be worth it for them to pay lender’s mortgage insurance because they are more risk-adverse and they can save the money so they don’t have to pay it anyway. I think the best approach is to look at it and say, what are the risk versus the reward? How much is the lender’s mortgage insurance going to cost me? And am I going to make more money back than the lender’s mortgage insurance is going to cost me? So if I can invest one year earlier, but I have to pay lender’s mortgage insurance, can I make that money back in one year of capital growth? Or one year of the ability to have access to that property and improve the property? 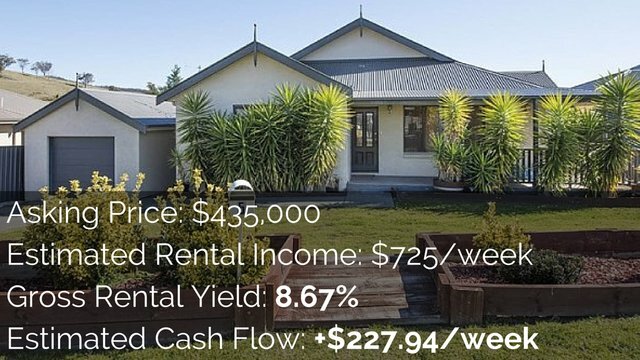 Or one year of positive cash flow from a property? So how much is it going to cost me? And then, how much am I going to make out of that and can I make more than it’s going to cost me? And that’s kind of how I would assess it. For me personally, I would pay lender’s mortgage insurance to get into the market earlier because I’m not the best saver in the world. So if I had enough deposit to go, but it means I got to pay lender’s mortgage insurance, as long as I’ve done my research, I’m confident in the area, I’m confident in the property that I’ve purchased and I’ve got a strategy to make money for that property, I’m happy to lock that property down. 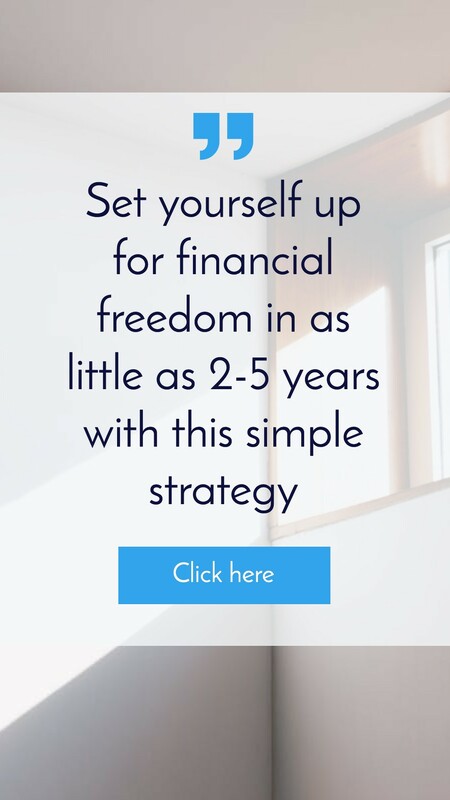 Pay some lender’s mortgage insurance, but I get it and I’ve then got the opportunity to make money versus just saving and waiting and waiting and then maybe not investing in the future because we all know things happen that dwindle our money supply. Emergencies come up or we decide to go on holidays or whatever it may be. So I’m not the best saver so I like taking action, locking it in and moving ahead. Other people are different. So you really need to assess whether it’s worth it for you. 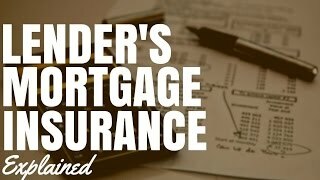 I hope that this has explained what exactly lender’s mortgage insurance is and then you can assess for yourself whether or not you think it’s worth the cost that it’s going to cost you or whether you’d be better off actually saving extra money so you don’t have to pay lender’s mortgage insurance. Just to cover it off again, in case you didn’t completely get it at the start, lender’s mortgage insurance is a one-time fee that you pay on the creation of your loan and that fee goes towards de-risking the banks. It’s lender’s mortgage insurance, it’s their insurance – the lender’s insurance. It’s going to protect the lender against the increased risk their taking on you because you don’t have what they consider a large enough deposit to be a low-risk loan that they’re riding. So you pay a one-time free, it protects them. Apart from that, there’s no benefit to you. It means you can borrow money, but that money is protecting the lender. It’s not going to protect you in any way. I’m a big fan of lender’s mortgage insurance in the industry. It lets a lot of people get into the market earlier who want to. And so, I’m not against the fee. But, again, you need to assess it for your own situation. 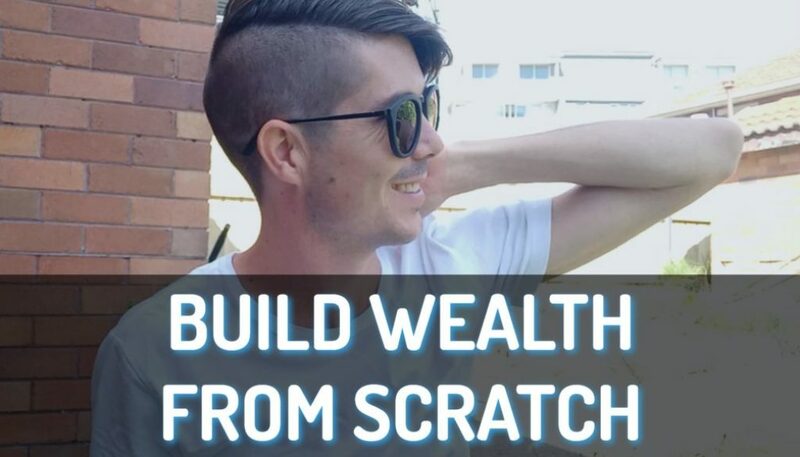 If you’re interested in investing in positive cash flow property and you need help finding it, then go ahead and check out my membership where I go out, I find a high rental yield property every single day and share it with the community. So head over to onproperty.com.au/membership if that’s something that you’re interested in. Otherwise, until next time, stay positive. How To Get Unstuck In Growing Your Property Portfolio	Does Negative Gearing Guarantee Capital Growth?